We all know very well that spinach is a very healthy vegetable, it’s very nutritious as a great addition to our diet. Spinach also has a very mild flavor so it can be used as an ingredient in many dishes without having to be afraid to experiment. It’s no wonder that this ingredient is used in so many different healthy dishes. In today’s post, we have selected crazy delicious and healthy spinach recipes that we could find. 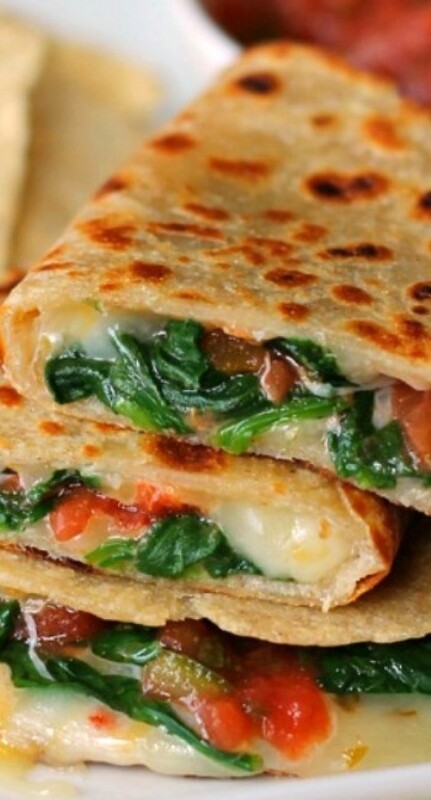 We have everything from a hot and moist spinach lasagna to healthy and refreshing spinach smoothies. Check out these recipes and enjoy cooking! This quiche is very hearty and delicious, and it takes only 20 minutes to prepare form scratch. It’s a very fast and easy way to cook a delicious filling dinner. Another interesting way to make healthy vegetarian lasagna roll-ups. These roll-ups are filled with ricotta cheese and spinach, served with a delicious flavorful tomato sauce – it can’t get any better than this! Chicken breast, cheese, garlic and lots of spinach – we think that’s an excellent choice for dinner. This recipe shows how combining all of these ingredients you can get a very exquisite dish. Get your guests to try it and we’re sure they’ll ask you for a recipe! Does your family like muffins? We’re sure you’ll find this recipe interesting. These green colored and healthy muffins will make your kids happy and full. A pot full of nutrients. This is a low calorie and very delicious soup. To all of you who care about your health and body we highly suggest to keep this soup recipe handy. Wondering what kind of side to make for your main meal? This recipe is for you. 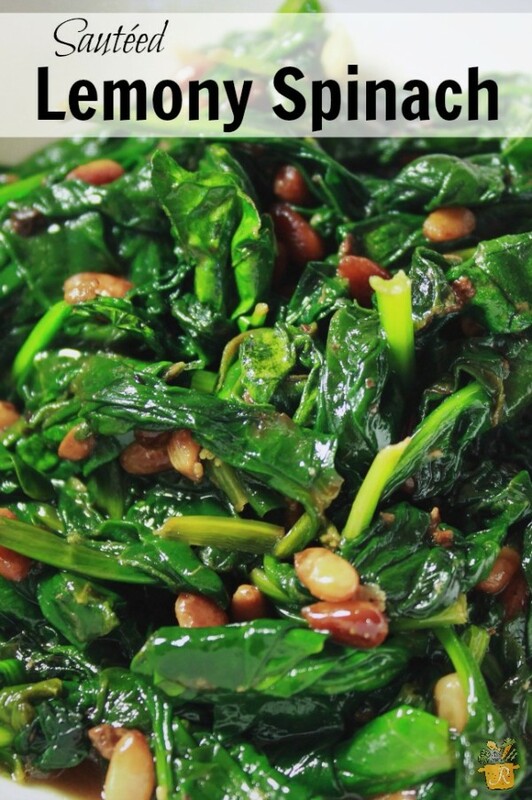 It’s a fast, easy and very refreshing, nutrient rich sauteed lemon spinach pine-nut side. Here’s another unique and very delicious chicken breast recipe. 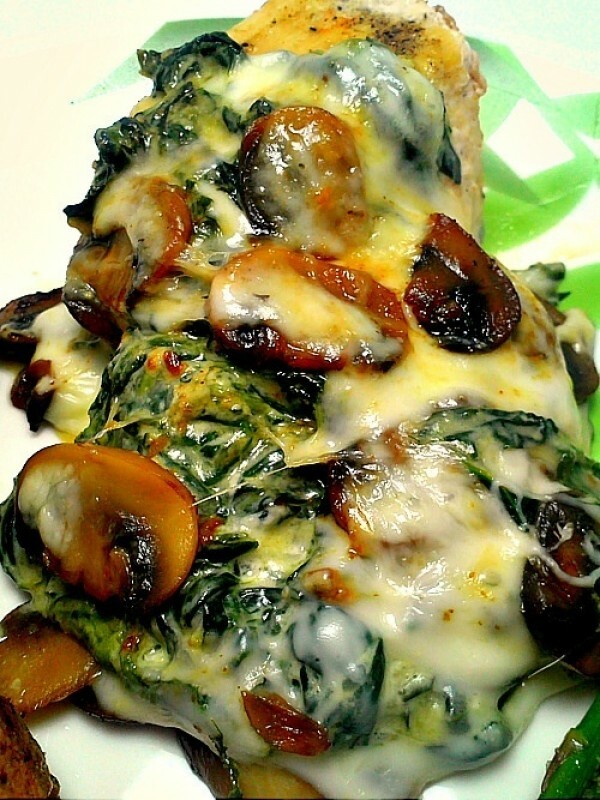 The chicken is moist and flavorful cooked with spinach and mushrooms and topped with a mild taste of melted cheese. Low calorie and very healthy salad that everyone will love. Take lots of spinach, almonds and dried cranberries, top it all of with sweet and savory dressing – and voila! A delicious salad for your dinner table. Here’s an exquisite recipe that can easily be the pinnacle of your festive dinner table. After trying this moist chicken breast cooked in white wine and spinach sauce your guests will definitely ask for more. A mild dip for snacks is a great option to serve before the main course or for a night in with friends. Melted cheese, spinach, artichokes and a little bit of mayo – it’s quick and easy. Your kids will love it too. Here’s another great healthy vegetarian recipe. Spinach ricotta calzones can be served with a mild or spicy tomato dip. They’re great as lunch for your kids as well which they’ll love and share with their friends. Would you like to make some turkey meatballs for dinner? Try cooking them with spinach. 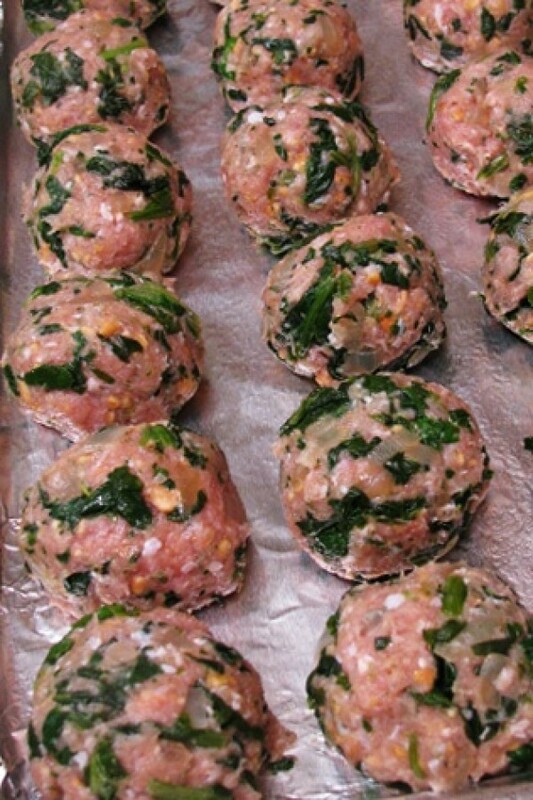 It will make the meatballs moist, flavorful and healthier. Here’s something for soup fans. Chicken and mushrooms sound good enough but try also adding tortellini and spinach to make it even better. Spinach makes the soup more nutritious and adds color to your dish! Rice with cheese, garlic and spinach looks as good as it tastes. It can be served as a side or the main meal. It’s a very healthy vegetarian recipe. Can’t live without salad? You have to try these refreshing and tasty salad with apples, spinach, feta, pecans and some cranberries. You’ll enjoy the recommended dressing too! Do you like wraps? It’s a great snack at work. 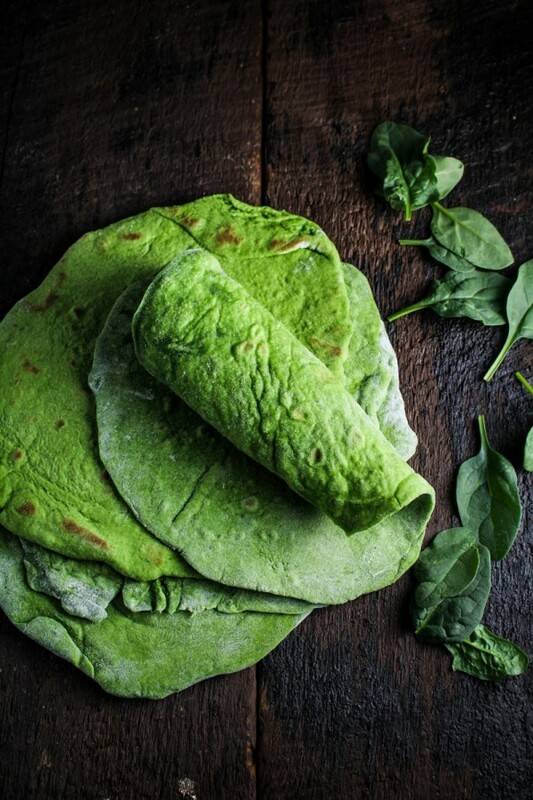 Make it green and it will lift your moods up and provide your diet with nutrients that come from spinach. It barely changes the taste of the wrap but your body will love you for it. It’s a green nutritious and very tasty smoothie. We recommend you to have one first in the morning as a great boost in energy and mood. Your kids will also love this sweet green smoothie. Running low in time for breakfast? This quick and easy smoothie recipe will replace any breakfast and keep you full until lunch. Yogurt, banana and spinach make a very healthy and tasty combination.